It’s finally starting to feel like spring, and that gets me excited about spring vegetables. I am definitely a salad-for-lunch girl, but sometimes I need my salads to have a little more heft. And by heft, I mean carbs! 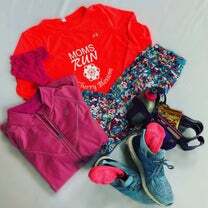 This mother runner loves to refuel with some healthy, carbohydrate-filled salads. This protein-packed spring pea salad is filled with healthy eats to refuel your body after your next run or gym session. 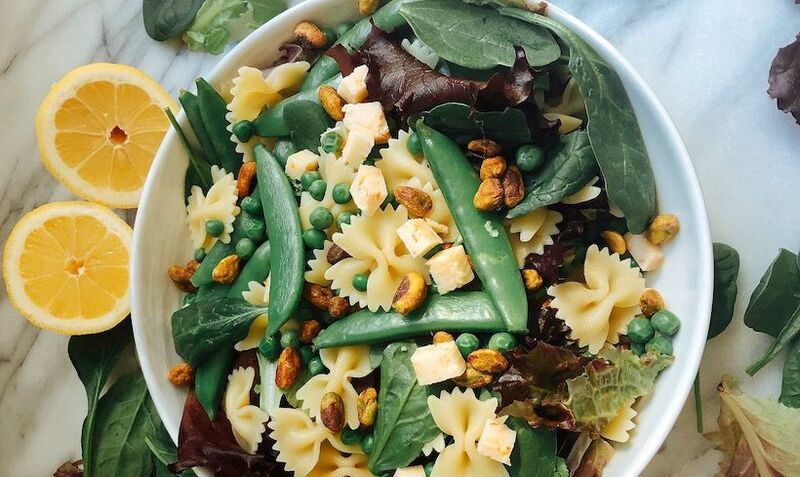 Loaded with fresh peas, sugar snap peas, pistachios and bow-tie pasta, this easy and healthy pasta salad will likely become your go-to lunch this spring. Hope you enjoy! Steam fresh and sugar snap peas in microwave until tender (about 2 minutes). Combine all salad ingredients in large bowl. Whisk together dressing ingredients and drizzle on top. Chef’s Notes: I kept this spring pea pasta salad vegetarian; however, you could easily add tuna, grilled chicken, white beans or shrimp for a more filling meal. Looking for more vegetarian runner fuel? Check out my Meatless Monday ideas each week on ConfessionsOfAMotherRunner.com.